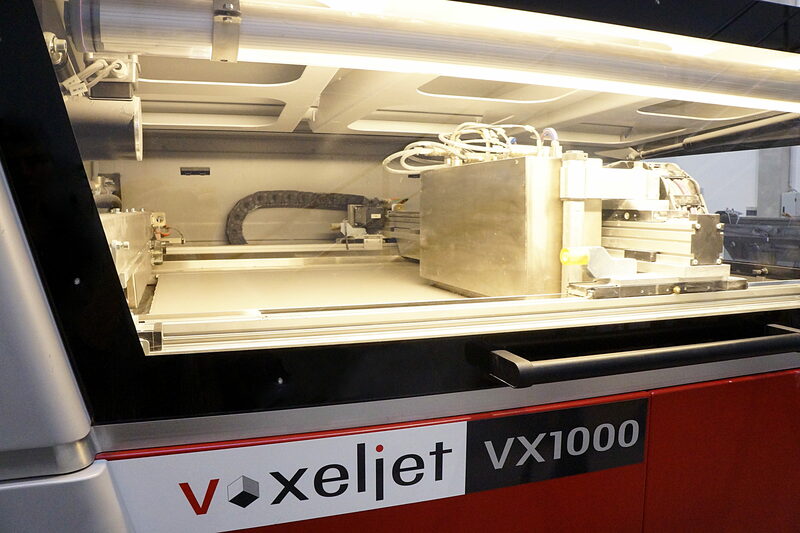 At Erpro Group, we have a Voxeljet VX1000 that uses the PMMA Binder Jetting technique. Little known, the technique of printing binder jet is associated with several names: 3DP, Binder Jetting or Zprinting. Developed at the Massachusetts Institute of Technology, it uses binders sprayed onto powders to form a solid piece. The binders can be pigmented to add color to the final piece. Voxeljet VX1000 industrial 3D printers are suitable for single piece production, for small series and for master wax casting. This 3D printing technology is interesting for architecture, jewelery or the production of unique works of art.